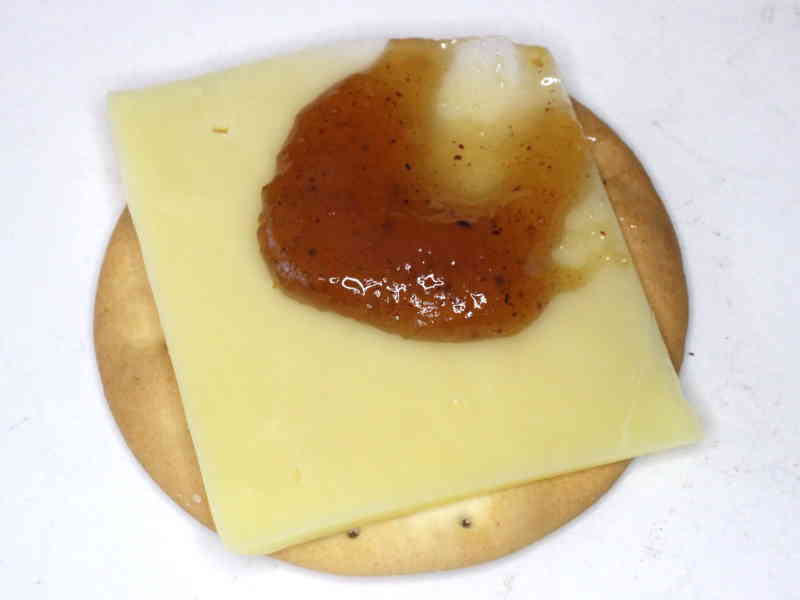 The paste described is a condiment for cheese on crackers. The calculator above can scale the recipe, just complete one of the yellow fields and hit ENTER or SPACE, and the rest will be calculated. * Note that the recipe above adds citric acid to achieve pH in the range 3.2-3.3. Lemon juice could be added to achieve the same pH, and has the advantage that it doesn't cause foaming of the mixture. Slice the fruit and cook it in very little water. When it has softened, blitz it, check the pH and adjust, add the spices and Pectin, and cook. Like all jams. boil the mixture until it reaches 68% sugar and test that it sets. See also Endpoint to boiling a sugar solution.